One of the chief complaints we often hear from child support payors is that they pay too much. From payees, we hear that they get too little. From the payors, it’s that there is no accounting for what their often substantial child support payments go towards. From the payees, there are claims that child support pays for everything under the sun including things that child support really doesn’t shouldn’t pay for. The reality is that child support orders are not based on anything remotely resembling the actual expenses of raising children. States generally set their formula primarily from information gathered from “Consumer Spending Surveys.” Also included in the calculations is this intangible thing called “established lifestyle.” Needless to say, the primary driver of the “Consumer Spending Surveys” means that the spending habits of families, and not just on the needs of the family, but the wants of the family, are factored into the equation. Given the current state of our economy, one thing is abundantly clear – consumers are spending far more than they can afford and it stands to reason that so many child support orders reflect those bad habits. With exception of the few “flat-rate states” – child support orders are generally imposed to equalize income between the households. How much time the children spend with each parent will affect that figure up or down for the paying parent. 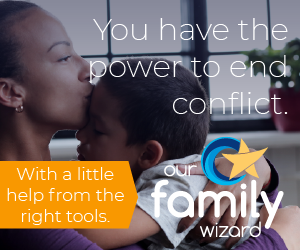 Since the “prize” of additional income from one parent to the other is predicated on maximizing one’s own child custody time, it’s not very hard to realize that this is often a significant driver for child custody litigation. More custodial time to one parent means more money flowing from the non-custodial parent to the one with primary custody. It’s a very simple transfer of wealth from the higher earning parent to the lower earning parent. In the majority of those situations, it’s the father paying the mother. Additional expenses for special needs children. Usually there is some measure of accountability because some or all of those expenses are rolled into the child support order by default. So, invoices and other payment evidence is often required to ensure the accuracy of the additional finances to be rolled into the child support figure. Whether we like it or not, the bottom line is that there is no accounting for how child support money is spent. Child support is further predicated on the misguided notion that the children are entitled to the same lifestyle after divorce as they had before the divorce. Except that it fails to consider that there are now two households and all of the associated expenses instead of one. Now, the default is that the court feels it is necessary to “equalize” the income of both households while never holding one parent or the other to any standard of income, making better for themselves or the children, and in some cases – ever requiring that a parent work at all – that is, unless you’re the child support paying parent. Until such time that maximizing parenting time for each parent becomes more important to the states and legislatures than maximizing child support orders – this is the way the system will remain. If you’re looking for accountability for how child support payments are spent, you won’t find it as part of the child support process. I’m currently writing a bill proposal on this subject. If your intrested in knowing more information, please e-mail your questions to navcom@hotmail.com. This is a good post of most current situations. It is only lacking the situation of where the payor actually makes less than the payee which causes a major unbalance of income and lifestyle. Take it a step further, the court sees the payor as underemployed even though there has been provable sustained income for over 15 years. When will this insanity stop? YUP! I have primary physical custody and they sent me a credit card with support money that shows up on it every month! I think it is an abomination to morality! However, I only get 53/month and I don’t complain about my ex or ask for missed support. But if its $313/month which is what I would be paying as “housing support”. I would rather move then stay in the state of AZ cause, one that money will not be used on my daughter, two I am paying for everything for my daughter so I am paying my ex to live a higher standard? It’s not my fault that she got a lesser education long ago that resulted in her having lower income then me! This is making me responsible for her when the decree was done long ago and she has no such right! And plus I was only married to her for 1.5 years! How is this new support even legal? Oh yah that Child Support Calculator is hidden and you can’t directly link to it from the home page…. Had to use Google to find! As a citizen and constituent of New York State, and a believer of truth and justice, I believe that there is the ability to discuss a subject that is important to all walks of life here in the great state of New York. I’m writing this to make you become aware of the state court system and how it conducts business with regards to child support and accountability. As you know well enough, you had some experience with this matter back in 2003. It is my duty to point out to you what should be done to help the people who pay their child support, however, still litigate ex-spouses of money matters and the pitfalls of the support collection system in New York State. The procedures that are set forth by the New York State Supreme Court when the parties come to their final agreement is ordered and adjudged that the amount be covered to support the child or the children’s expenses. (Clothing, food, deductibles for medical care, etc) Unfortunately, this is not always the case. There has been a backlog of cases on the dockets of all the family courts in the New York court system in regards to whether or not the un -emancipated child is actually receiving this money, and not for the custodial parent to use at their own discretion. Conversely, there are other methods of course that may be viable, as well, such as quarterly mandated reports from the custodial parent to the CSA and the noncustodial parent, requiring detailed disclosure of the specific expenses with regard to which child support funds have been used. However, whatever method of accounting and reporting is utilized or adopted, it is essential that some such system be adopted to combat the abuse misuse of child support funds to ensured that the such funds are actually used for the support of the children for which they are intended. Moreover it would also help in the litigation process and avoid any other future litigation either by the state, or the custodial parent. Child support accountability is an often debated issue. Eleven states have statutes providing for Child Support accountability. I am curious as to whether when requested, is it often granted in a court of law in New York State? Eleven states have statutes that allow the court to demand an accounting from the custodial parent of how child support is spent and one state that has allowed such accounting via case law. Here are those states listed below and the one case law in the State of Alabama. Washington: Wash. Rev. Code Ann. § 26.23.050(2) (a) (ii) (Supp. 1999). The child support laws are unfair in that they do not follow the NYS statues and guidelines as written (Domestic Relations 2541.) However, the absence of accountability of custodial parents for the expenses of child support funds in effect allows, and has resulted in, numerous custodial parents diverting the use of funds for their children, contrary to the statutes intended. This is totally in opposition to the intent of the Statues of New York, which purports to follow the best interest of the child standard in awarding child support. This is blatantly true in instances where “the child”, as defined under New York State law. The custodial parent accounts in any manner for funds paid for child support, thus allowing the custodial parent to use the funds provided specifically for the children under the applicable child support orders as they wish. With a propose New York State law, as part of their support obligation, the non-custodial parent must show proof of funds paid, and the receiving parent to provide proof of funds spent. There is a lack of checks and balances, to in effect live off of the support of others simply because the current system allows them too. Thus, the undersigned sincerely believes that justice is not being served regarding the children of this state to whom child support is being paid, and that a system of accountability must be put in place under state law to ensure that child support is used for the purpose that was intended by the law, the support of children. It is necessary, for the best interests of the children of this state that, as part of the divorce and child support process, that accounting for the funds paid for child support be an integral part of the process of awarding child support, which allows the noncustodial parent to see records of where child support funds are spent. This does not exclude percentages that should be applied to such costs that are reasonable for the support of the children who are the subject of the child support order or agreement who are actually residing in the household. It is imperative that verification of what the funds are being used for. Another way of accounting for child support expenses is by requiring a State sponsored account to be opened for child support funds, so that the manner in which such funds are spent can be readily seen by both parents. Such accounts should be open to the periodic examination by the State of New York and the contributing noncustodial parent and the receiving custodial parent.